The Positive Day School/Daycare is a licensed 3-star day care for children ages 3-12. This program runs daily from 6:30am-5:30pm. Through independent exploration, structured activities, and hands-on learning, preschoolers develop early literacy, mathematics, science, and social skills. A healthy dose of running, jumping, and dancing keeps them active, too. Positive Day School Preschool program enhances confidence by providing activities to help children become problem solvers and lifelong learners. As preschoolers gain more self-esteem, they feel ready to take on the world. Even after school's out for the day, children need to be engaged in a comfortable, yet stimulating child care environment. That's where Positive Day School After-School Program comes in. This innovative after-school program allows kindergarten and school-age children to balance learning and fun through a variety of experiences. From homework help to fun physical activities, our early education program is designed so that everyone goes home happy. The Positive Attitude Youth Center's After School program is considered to be one of the most successful programs that the agency provides. This program is designed for students who attend the local public and private Alamance-Burlington schools. Awaiting them are eager volunteers that consist of retired school teachers, Elon University students, high school juniors and seniors, and other excited volunteers. The students receive one-on-one tutoring and and time to accomplish their homework. Many local schools are anxious to partner and collaborate with the PAYC because of past success stories. Children who attend the After School program often achieve better grades and exhibit a better attitude at home and in school. The after-school program is offered to children in pre-kindergarten through 10th grade from 2:00pm-7:00pm. Transportation is provided from 17 area schools so that children have a safe way to get to the PAYC, and some students receive transportation home at the end of the program. The program is $175 and scholarships are available. The Teen Achievers program is for children in grades 6th-11th who are court-ordered juveniles or at-risk students. This program provides them with necessary skills and training to help them through their current situations. Activities for the children include character building classes and recreational programs. 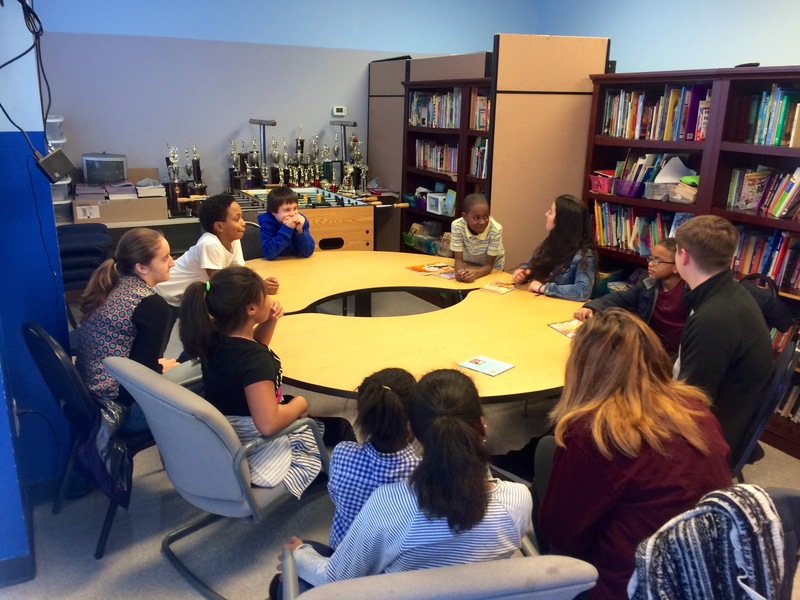 The positive and supportive environment that the PAYC provides for its students encourage them to make better choices and increase their self-confidence. The PAYC Summer Enrichment Program is a day program for children in grades pre-kindergarten to 9th grade, offered June through August for $60 per week. Children in the Summer Enrichment Program will experience various fun and educational activities. Some of these activities include, swimming, movies, field trips, recreational activities, cooking, etiquette class, and arts and crafts. Students will also be provided with educational enrichment opportunities and activities. *Some special trips are not included in price. North Carolina has one of the highest obesity rates among youth in the United States. Recreational activities at the Positive Attitude Youth Center are designed to help develop the mind and body of our children by instructing proper body exercise, overcoming health issues and ultimately developing a high immortality rate among minority children, adolescents and youth. Structures physical activities and play will give the children the opportunity to enhance body exercise and develop a healthy mind and body. Weekly exercise classes will also be offered for parents. Important Notes: Dress appropriately, keep the gym clean, no food or drinks in the gym, but those will be sold outside of the gym for participants and others, technical fouls to ensure proper sportsmanship- we are here to develop players and let them have fun. Interested in volunteering while your team is not playing? Do you have allergies, chronic illness, or medical conditions that would limit high level activity? In the event of illness or accident, I give permission for emergency treatment by qualified medical personnel for my child, and I authorize the person in charge to take my child. I give consent for the facility to secure any and all necessary emergency medical care for my child. Although the safety of all sport activities is the primary concern, indoor sport activities at Rising Stars Basketball Association facilities may cause injuries and/or death. I expressly assume the risk of injury, death, and/or illness arising from any cause, and agree to waive the right to pursue any claim against the Rising Stars Basketball Association and the persons in the charge. Coming Fall 2016! Positive Attitude Day School is an Elementary and Middle School serving students from K-4th and 5th-8th. Positive Attitude Day School has certified curriculum and teachers. Opportunity scholarships are available to those interested. If you have any further questions, please direct them to Ms. Tasha or Mrs. Eunice. Positive Day High School Academy is a licensed non-traditional private school. Click on this link positivedayschool.makesit.net to find our more information about Positive Day High School Academy.